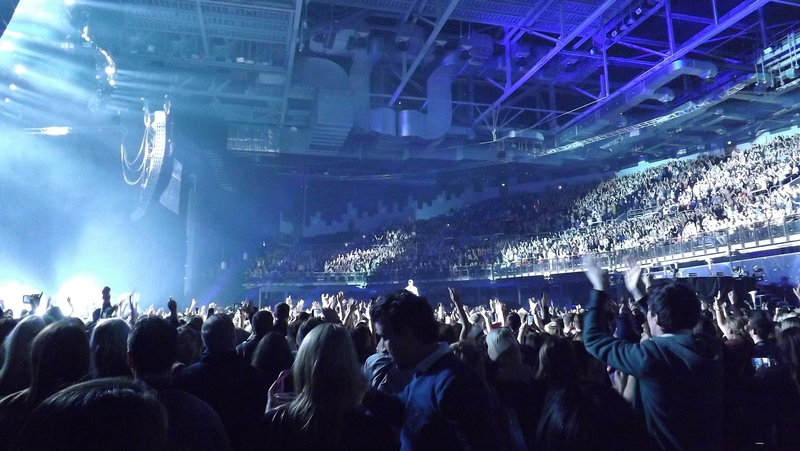 For more information check out our 3Arena, Dublin: FAQs below! If there are any questions we haven’t covered, please leave a question in the comments section. 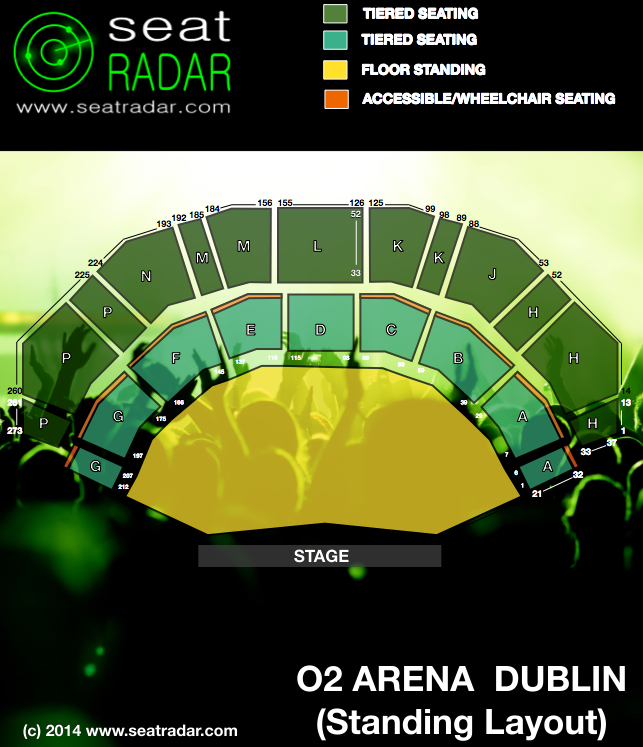 See the layouts for the 3Arena (formerly O2) Arena Dublin Seating Plan in our gallery below. (Click on images to enlarge). 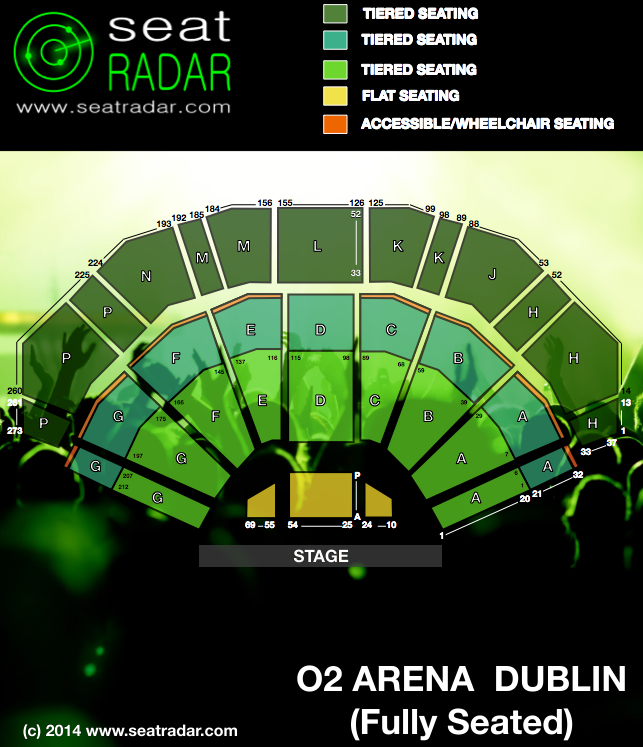 What are the best seats at the 3Arena (formerly O2) Arena Dublin? 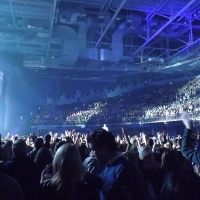 What is the view like from Block [...] of the 3Arena (formerly O2) Arena Dublin? Are these good seats? Have a question about the 3Arena (formerly O2) Arena in Dublin? Leave a comment below and we’ll do our best to help! Blocks: 3Arena Block A; 3Arena Block B; 3Arena Block C; 3Arena Block D; 3Arena Block E; 3Arena Block F; 3Arena Block G; 3Arena Block I; 3Arena Block J; 3Arena Block K; 3Arena Block L; 3Arena Block M; 3Arena Block N; 3Arena Block P.
Rows: Row A, Row B, Row C, Row D, Row E, Row F, Row G, Row H, Row J, Row K, Row L, Row M, Row N, Row P.
Section D for U2. The tickets say they might have limited or obstructed view. Does anyone know how limited or obstructed the seats will be? Hi, I bought tickets for an upcoming show, it’s Block H Row 52 seat 36-37, how are these seats? 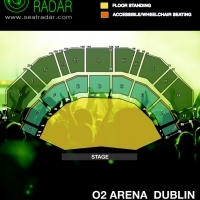 I tried looking at the 3arena seating plan but there are 3 block H there and I don’t know which one I’ll be in. ….my daughter bought me 2 tickets for cliff Richard on sat.night ,what’s the best time to collect these in ticket box office on night of 29th ? I’m curious if anyone has been to 3Arena and the venue had a Golden Circle? I’m wondering because I’m thinking about offering as gift a ticket to James Blake/Kendrick Lamar and there’s only availability on the Golden Circle.. Wondering if it’s worth it or not given they are quite pricey. I had the same worry for same gig. On the automated response on ticketmaster customer helpline, it said standing bookings will be given seat numbers, but if it starts GA, you’re standing! I have tickets for both Block G and Block L….which would have the better view? Hi. Just wondering what block C, row 12 is like please? Will I have a good view. Thanks a million. As seats go – they are excellent seats. Whether theyare too high for your vertigo – i dont know. My suggestion would be to arrive early with a note from your Gp about the vertigo, check out the seats and ask to speak to a seating manager if you find you have a problem with the height. Hope this helps. I have 6 table tickets for the Premier League darts 6th April 2017.
hi, i have tickets for the Ariana Grande tour. I am just wondering my seats are block L, row 51, seat 135. 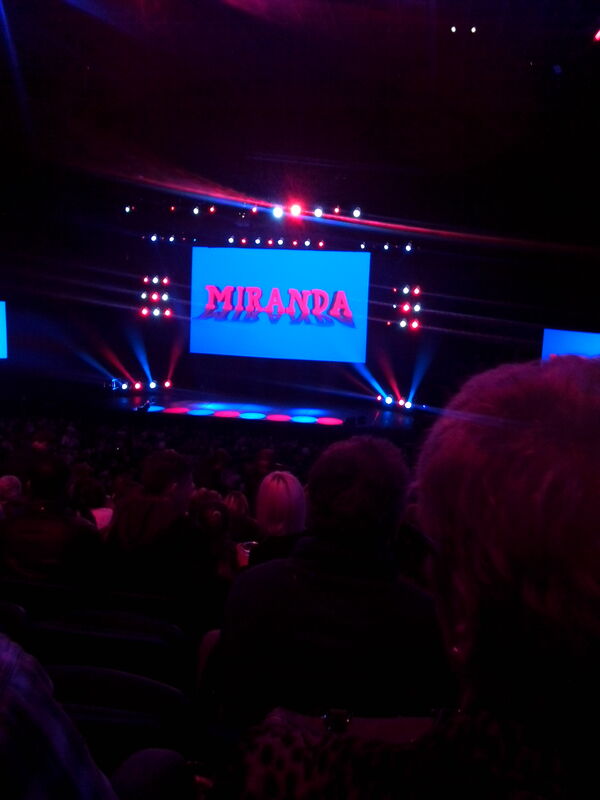 These are seats at the back but roughly how far back? And will I still be able to see? Hiya, I got tickets for bruno Mars section ga1 row4 and also have ones for block p row 36, which would be the best view? I got seats for GA 1 Row G3 … so I’d be one in front of you … any idea if there any good ? GA is General Admission so that is a standing ticket. They put row and seat numbers even for the GA tickets but it’s a standing one. 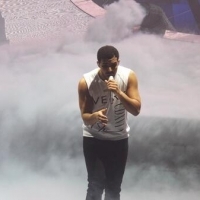 I have tickets for drake in 2017 and with all the panic of ordering them as fast as I could online, I don’t remember if I clicked standing or sitting. My tickets say section GA3 row G10 and there’s no seat numbers, I have a good feeling these are standing tickets but because they have row numbers on them I just wanted to make sure. I have the same issue yet I don’t have a row number! Did you get any response? 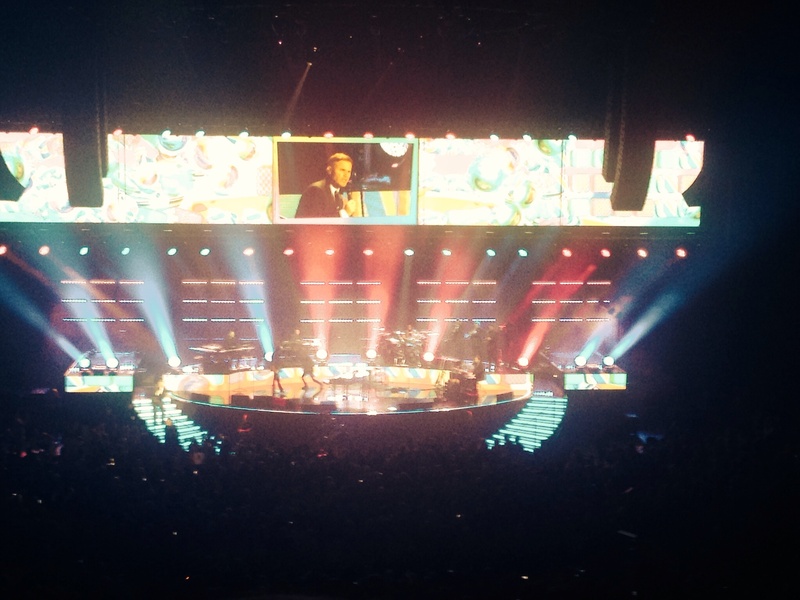 Shawn Mendez all seated show. Bringing an 11 year old. Block D is by far the better block. 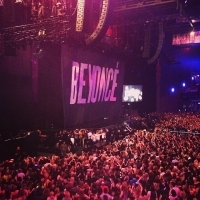 You will be looking straight ahead to the stage. Block G is to the side, so you would be looking into the band members earholes If you can get tickets in Block D, snap them up. i have tickets for Red Hot Chili Peppers, Block A Row 21, seats 29,30……..I think thats the first row behind the standing section, will i be able to see? Yes, you will be able to see fine. The balcony is high above the standing audience. So what you have is front row in Block A in the balcony. You will have a clear view of the stage. Block G Row 18 208-211 – have these seats restricted viewing for 12 yr olds? Hey just got tickets in the 3 arena, dublin and I ordered standing but it came back saying I’m in block G seats 436-437. But the hightest seat number seems to be about 250. Does anyone know where these seats are? Does it say Block G or GA because GA is general admission which is standing (the numbers would be the running total of standing tickets sold at that point). Hope this helps. hi, so if i get a ticket and it says GA2, is it only 2 tickets for general admition has been sold???? GA is general admission which is standing (seat numbers are just for ticketmaster I presume to track numbers sold). Hope this helps. Hi i have tickets for 5sos they are section GA1 row G4 but then says seats 151-152. is this standing or seating? and is it close to the stage? someone help! Hi. Have tickets for 1D. Block P, row 34, seat 241. 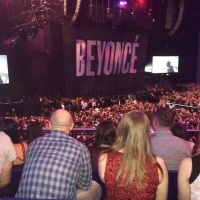 Is that far back and are the seats very high? Hi, Taking my teenage daughter to see her favorite band ,5 seconds of summer, we are in block D,row 32 , Is that too far back to see the band? I’ve tickets for fall out boy, and they say section GA3, is that standing? I bought tickets for my parents to see Andre Rieu in the 3 Arena – the seats are in Block A Row 12, seats 1 & 2. how good /bad are these seats? Will they have a good view? Hi, I have one ticket for One Direction, sector L row 47 seat 152. I know that sector L and row 47 in very high and far from the stage, but should also be pretty central, right? 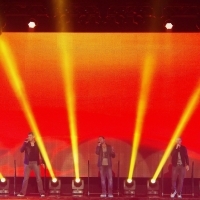 Do you think I will be able to actually see the singers or I will just see coloured spots moving on the stage? Can you please share your experience ? I have tickets to U2 in sector L row 47 as well on November 28th. I have u2 tickets for opening night 23rd looking to trade for 27 or 28th. Hi, I got tickets for Fleetwood Mac on the 10th of July. My ticket says section GA3 number G6 104. Does this mean I’m standing? I got tickets for One Direction for the 18th October and they’re supposed to be seating but it says section GA3 , number G10 231. Just wondering what they are and if it is seating is it a good view? Hi I’ve a VIP package to Taylor Swift and each tickets says ground floor standing G3 165 and 166 how near is this to the very front and is it located in the VIP Pit?? Hi I have block D row 14 seats for the 5SOS concert. Just wondering If that’s “balcony-view” like or is it still far? thanks. Hi Marie, not sure what you mean regarding a balcony view but no, row 14 won’t be too far back at all and Block D is right in the middle – you’ll have a great view! hi I’ve gotten tickets for one direction in block N row 48 I was just wondering if our seats get a good view? Hi Miriam, Block N is upper tier and Row 48 will be pretty near the top/back (top row in that tier is 52). 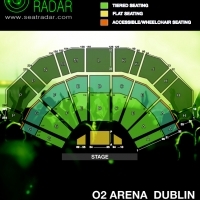 That said, the layout of the 3Arena means that everyone gets a pretty decent view and you’ll be sat at a decent angle. Apart from the height (which shouldn’t be vertigo-inducing btw) the seats will be fine. Let us know what you think! Hi I’m going to 5sos and my block is B row 21 do I have a good view? Hi Lauren GA generally means general admission which in turn means standing but we can’t say 100% without knowing what show it is and even then you should check with the venue if you’re concerned. That said – GA is usually standing and the seat numbers are often just for the venue/ticketing companies to keep track of how many they’ve sold. Hi i have tickets for the darts league , my seats is block f 2nd row are these good seats?? 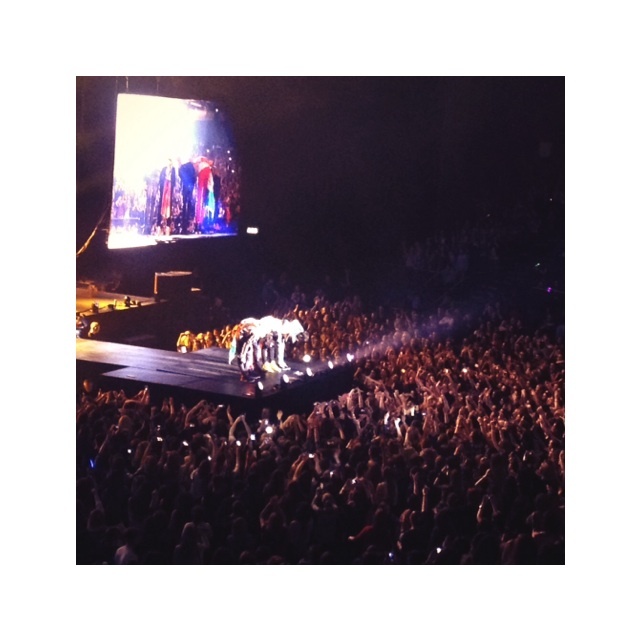 Hi, I got One Direction standing tickets and on them it says G2, how close is that to the stage? is that good view? If you are in Block G, Row 2 then that would be very close to the stage (second row). Just be sure to check it is indeed G2, rather than GA2. Hi Will – yup, nice central location and not too high up, should be a good view from there. Hi, I have read the comments below and realise you have said g1 sounds like General admission so standing, but I specifically asked for tiered seating cause I’ve joint problems. Have you had any feedback about these section numbers? Thanks! Hi – in the comments we were asked about GA1 (not G1). 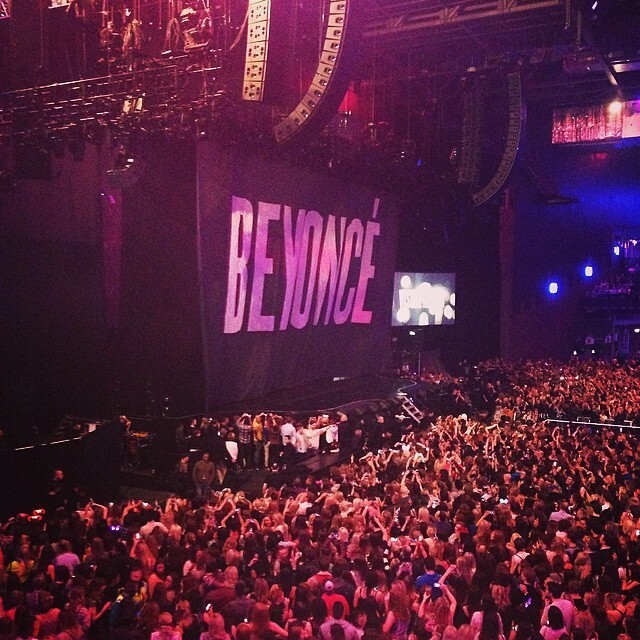 “GA” usually means general admission and this usually means standing. If you are in G1 this may mean Block G Row 1 which would indeed be tiered seating. Please do check with the venue though as we cannot know for sure what codes the venue or any given ticketing agency are using. what’s the view like from block F row 23? 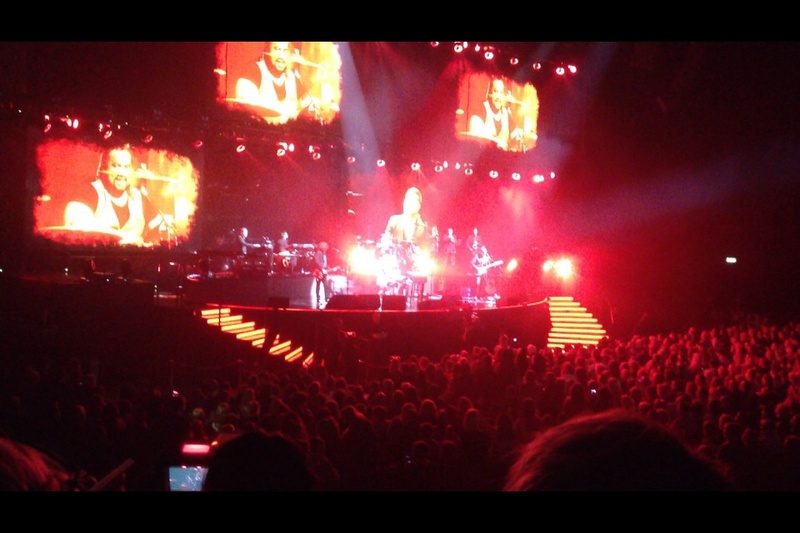 Hi Derek – you can’t go too wrong with the 3Arena particularly in the lower sections (which you are in) and you are central enough in Block F for viewing angle etc so all in all should be good! Hi Kim – since we’re not directly affiliated with any venue/ticket-brokers we can’t give 100% confirmations on these things but in our experience any tickets marked “GA” are general admission and hence standing. Right at the top/back of the arena but this is largely compensated for by the fact that the seats are very central so you will have a good viewing angle and be able to see stage/screens easily. The venue isn’t huge so being at the top/back is not a disaster the way it can sometimes be in venues such as the O2 or Wembley Stadium etc. Hello, for the One Direction concert (16-18 oct) there are standing tickets aswell as seating. What row does seating start at? 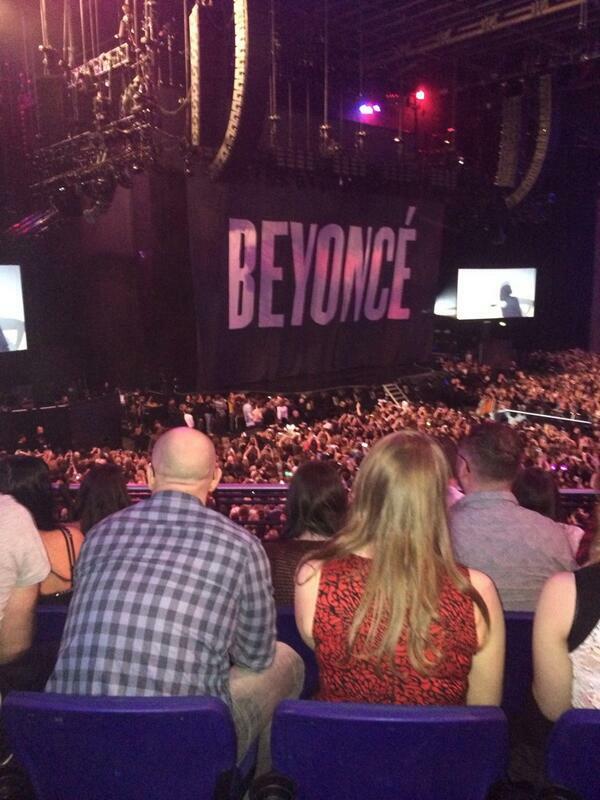 Is it like the cheerios Childline concert or is there a larger standing area? I’m in block G row 28 seat 175…how far back am I? Thank you. Hi Sarah – don’t have details of the Cheerios Childline concert so can’t comment on that but you’re seats are in the upper section of Block G (about 4 rows from the back). Seat 175 is a good position as it’s near to the aisle with Block F which (as well as having easy access) means it’s a good viewing angle (as it is not too side on). As we mentioned to Clara below, most areas in the venue provide a good view anyway and there’s certainly nothing to worry about in your seats. Have a great time and please do come back to upload a photo! Hello! I have tickets for Black Sabbath, block J, row 38, seats 65+66. How do you think my view will be? Thanks. Hi Clara – the upper section of Block G runs from Row 21 to 32 so you are in the upper part but only a few rows back. 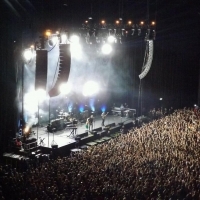 The arrangement of the 3Arena means there aren’t really any terrible seats and you won’t feel really far away the way you would in the highest sections at the back of larger venues like the O2 Arena for instance. Also, as we mentioned in our last comment, you have a good seat number which will give you a good viewing angle and a decent overall view. Have a great time and please do upload a photo for us after the show! Hi Clara, seat 177 is close to the aisle between sections G and F so that’s a nice location but you would need to look for a row number between 1 (front) and 32 (back) to know how far back you are. hey is section P row 37 good or bad seats ? 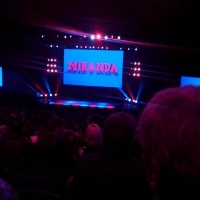 Is it to far away form the stage ?? Hi Elly – as you’ll know Section P is right on one side of the venue and Row 37 is at the back of that part of of Block P. BUT the horeshoe layout means that even the back rows in the upper tiers feel a lot closer than rows at the back in larger more conventionally arranged venues. As such, we don’t think you’ll feel too far away. Block H Row 45 (similar position from the opposite side of the venue) – you’ll be 8 rows lower/further forward so you can see how you’re view should be fine. 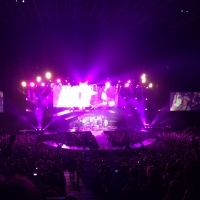 Block G Row 34 – this is from the same side of the venue as where you will be just a little lower down / closer to the stage – the angle and height will however be fairly similar. 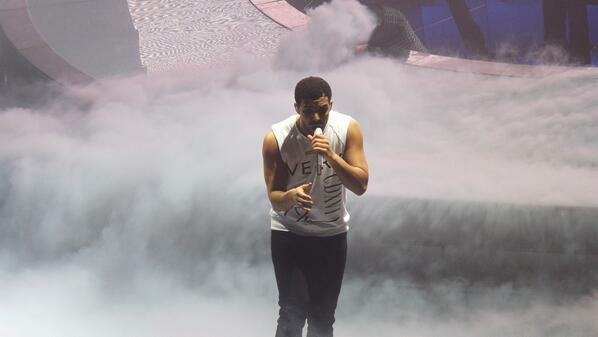 Hope that helps enjoy the show and please come back to upload a pic! Which show/date are you going to? I’m in block P and was wondering is it too off to the side and too far back to enjoy the concert? Hi Just bought tickets to 1D concert with my daughter, we are in Block G row 27 seats 189-190. Are these good seats, what will view be like? Hi Geraldine – “GA3″ sounds like a code for general admission which would suggest standing tickets? 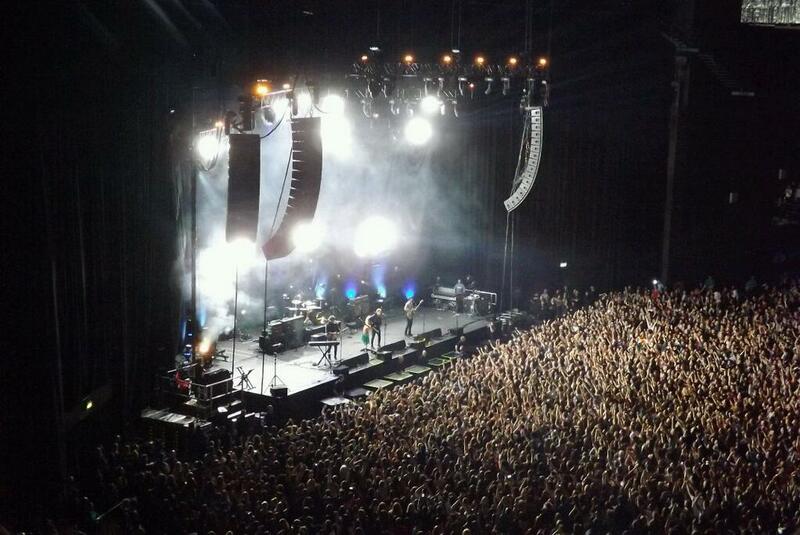 What is the view like from block P ( photo ) please ? 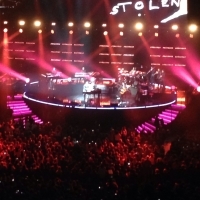 Hi Nicole – we’d love to provide you with one but all photos are user-submitted and unfortunately we don’t have currently have a shot from that location in our gallery! Is row 35 block h seats 8 and 9 good or bad seats? will we be able to see ? 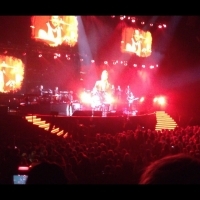 Block G Row 34 – this is from the other side of the venue but the angle and height will be similar so take a look at this too. 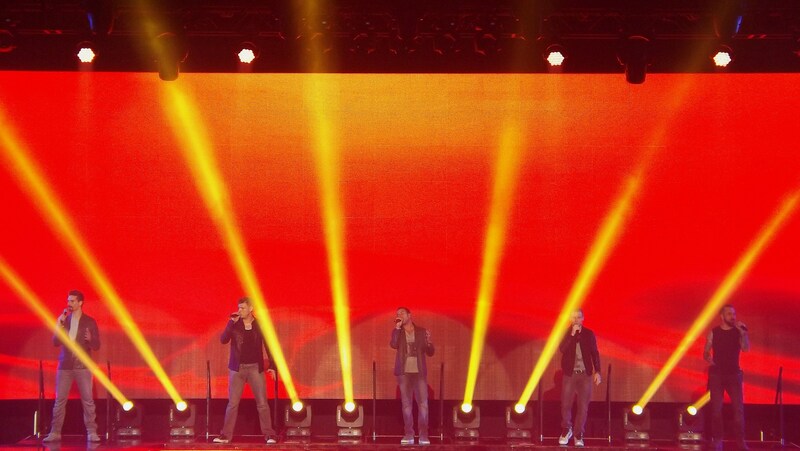 I have tickets for x factor tour at the arena. Just reading a previous post I don’t think I have great tickets. Could you tell me what to expect. Block g row 5 seats 177 & 178. Also, you are only two seats from the aisle between blocks F and G so essentially this means you are in some of the very best seats in all of Block G. So, hope that makes you feel better (sorry again!) and enjoy the show! Please do come back and upload a pic! When are you going? Thanks very much for that. Feeling happier now. Roll on February. Hi John, great idea! You’d probably be best going with seats in a tiered section in order to reduce the likelihood of having any issues with your 7yr old being able to see over taller people standing/sitting in front of her. On that basis, blocks C; D & E would all be great choices – in particular the first few rows (i.e. near to the front of the blocks). 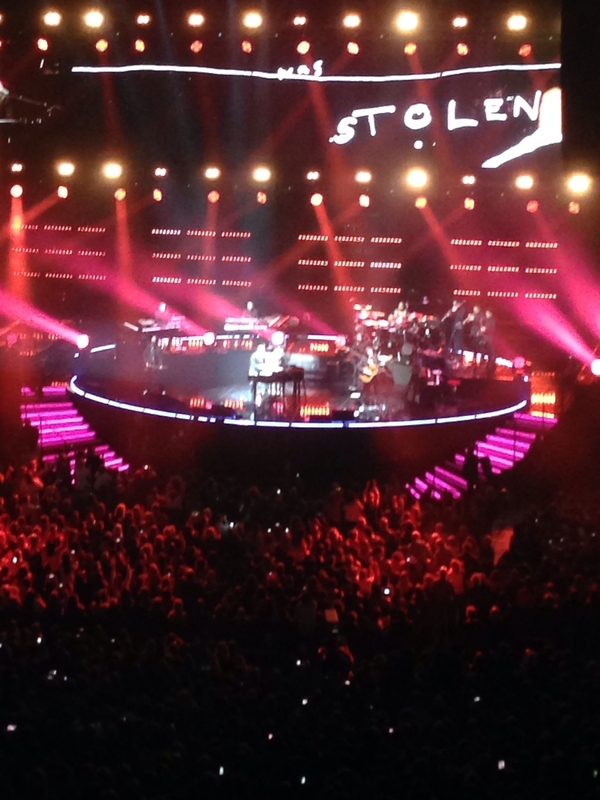 Is there a good view from block g in the 3Arena? 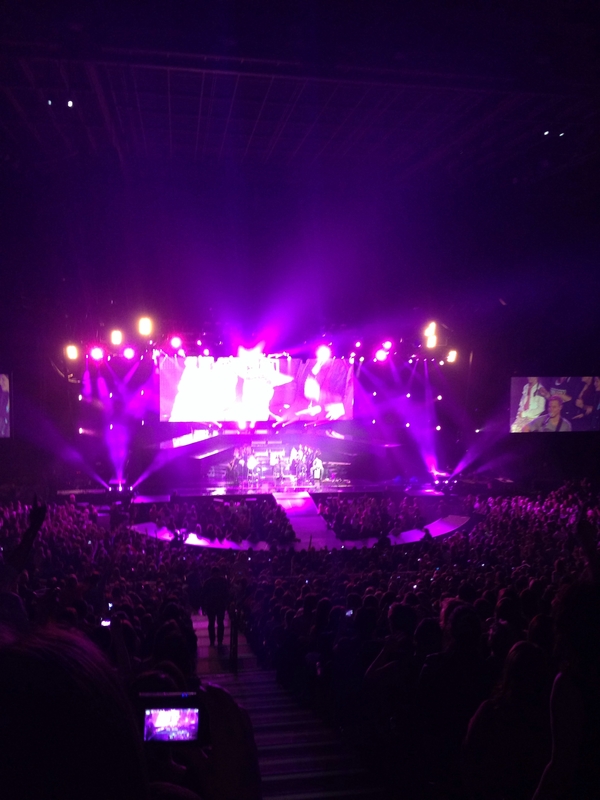 The 3Arena is pretty good for giving most people a decent view. Of course you’re exact view will depend where exactly you are within the block but if you look at the lat photo above (pink/purple lighting) that is from Block G and will give you an idea. Hi Tara – that’s a nice central position and you’re in the front half of that block so on the whole you should have a good view Have a great time and please do come back to upload a pic! If you have any from previous gigs and/or other venues we’d love to have those too! 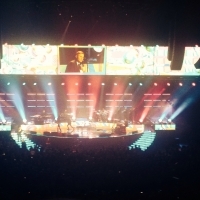 Is it possible to see the whole stage well from all of the arena floor seats even the seats at the far left and far right ? To the best of our knowledge you can see the stage from the far left and the far right. However, in the seats furthest to each side you would have a side-on view which is not ideal and may make it difficult to see the rear portions of the stage clearly and/or to appreciate special effects on a large, flat screen at the back of the stage (if any). You might also have a slightly less than perfect view of the screen nearest you. If in Block A we’d suggest looking for seat numbers of 20 and above to stay on the safe side. If in Block G, we’d suggest Seat 185 or lower. Hope that helps.